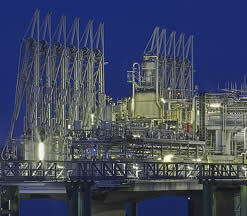 From a large range of single components, a plant develops into a functioning unit with a clearly defined task. For instance, it could become a cooling system or a mechanical as well as a pneumatic conveyor system or it could become a large KVA filtering plant or a cement plant with gas pipelines and infrastructure. Schonert AG processes projects of small to large plants in a large variety of sectors, from the project phase through to the manufacturing control phase and then right up to the start of operation.